KUCHING: RTM (Radio Television Malaysia) should not play politics, says Datuk Abdul Karim Rahman Hamzah. 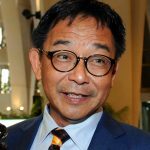 According to the Sarawak Tourism, Arts, Culture, Youth and Sports Minister, there has been little or no news programmes and happenings about Sarawak on RTM’s television and radio stations. He said the decision by the Malaysian public broadcaster was divisive and contrary to its purpose and mission of promoting national unity. “RTM was established for the purpose of promoting unity and harmony in Malaysia, and when RTM decides to play politics, it can bring down the nation,” Abdul Karim said today. “We all sing the national anthem Negaraku together, and RTM essentially belongs to all Malaysians but now it seems to be behaving divisive, so this is wrong and it has to stop. “Initially, there were rumours that RTM will not broadcast news in which any Gabungan Parti Sarawak (GPS) leaders are involved but I have found out it is true, that is why I am sometimes sarcastic towards them,” he said. He confirmed that Malaysian Communications and Multimedia Minister Gobind Singh Deo had received complaints on the matter but the latter had denied responsibility and said that it was not his instructions but rather the instructions of ministry officials. “I don’t know who is in charge? Is it the minister or his staff? So if you (Gobind) don’t know how to be a minister then don’t be a minister. “Gobind should know better. He should not play politics on this matter, in fact, the situation (exposure for Sarawak) is worst now then it has ever been,” he lamented. The move by RTM was read as an attempt by Putrajaya to divide the people and is feared that this could be a precursor to the failure of the federation and the collapse of the nation. Abdul Karim pointed out that it was no surprise that RTM did not cover all functions in Sarawak, and that they never broadcast political activities – RTM is now also boycotting cultural and sporting activities as well. When asked on the creation of a Sarawak television station, the minister said that it was too early to talk about this but surmised that a Sarawak station would not play politics like what RTM was doing now. To another question on the move by a private television station to broadcast Sarawak content twice a day, he said that it was not done by the Sarawak government but rather a proactive move by the station itself and said that it was up to the people which station they wished to watch. Stop playing politics, Abdul Karim tells RTM 0 out of 5 based on 0 ratings. 0 user reviews.